The two key aspects that kept resonating throughout SAP TechEd event at Las Vegas were – Openness & Partnerships. Just as last year, Cloud topics dominated the event. Björn (known for his love for science fiction) opened the Keynotes with the Star Trek crew. It was a pleasant surprise to see couple of women (Jana Richter & Sindhu Gangadharan) leading the demos along with the king of keynote demos – Ian Kimbell. Here is the list of things which I can recollect after the event. SAP adds further multi cloud support by partnering with Google. SAP Cloud Platform is now publicly available (beta) on top of Google Cloud platform (GCP). This means customers who already have invested in GCP can continue to leverage some of those services and at the same time access services provided via SAP Cloud Platform. SAP is already collaborating with Google in the areas of Machine Learning (for Tensor flows) and Internet of Things. This announcement further strengthens the partnership with Google. SAP has joined Cloud Native Computing Foundation (CNCF) as a platinum member. CNCF aims in driving adoption of containers and microservices to create modern distributed systems. SAP has also formally joined the open API initiative and has made a commitment to use Open API Specification as an open-standard to design, document and list the APIs. These APIs are now available in API Business Hub. This makes it more easy for external/internal developers to discover SAP APIs and start to consume them. Don’t forget to check out the SAP JAM Collaboration APIs which are now available in API Business Hub. This now enables customers to embed Collaborative features within other business applications like Hybris or SuccessFactors. API Policy templates are also now available within API Business Hub and can be easily imported into SAP Cloud Platform API Management. ABAP runtime will soon be offered in SAP Cloud Platform. Yes, you can now start to write ABAP programs (using an Eclipse IDE) and deploy them to SAP Cloud Platform Cloud Foundry environment. I gather that the initial focus is to provide an environment for on-premise customers to move their extensions to Cloud Platform when transitioning to S4HANA (either on-premise or in the Cloud). This certainly opens the door to the largest SAP developer community and gives more choice to developers. When developing complex applications, I have always seen the combination of HANA DB (for persistency), Java apps (to hold business logic) and HTML5 (for UI). In this setup, its now possible for developer to use ABAP to encapsulate business logic and provide them to a HTML5 based apps. The ABAP runtime will soon be offered as private beta to selected customers and is planned to be generally available early 2018. There are some new SDK’s which have been made available. SAP Cloud Platform SDK for iOS 2.0 is now available. This version of SDK can run on XCode 9 and iOS 11. The new SDK comes with additional controls and the iOS assistant itself has been enhanced to align with the native UX of MacOS. There is also a tighter integration of API Management & Translation hub within the iOS Assistant and the code which gets generated by the assistant is much structured. 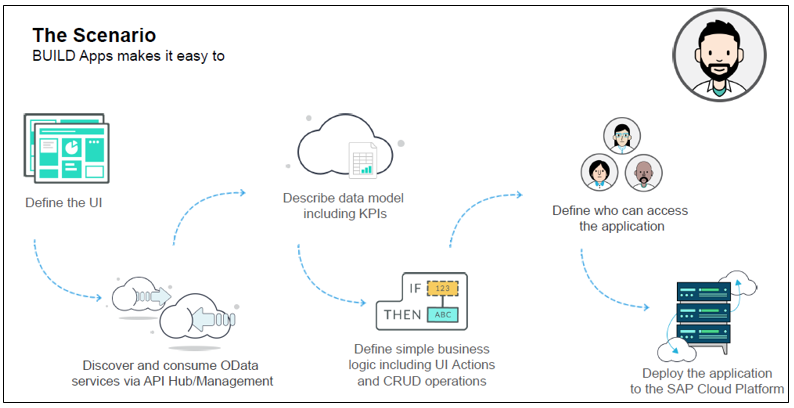 SAP Cloud Platform SDK for Service Development enables Java developers to easily create OData(v4)/REST services on the Cloud Platform. There are libraries which support accessing different data sources – SAP or non-SAP and facilitate mashing up the services. 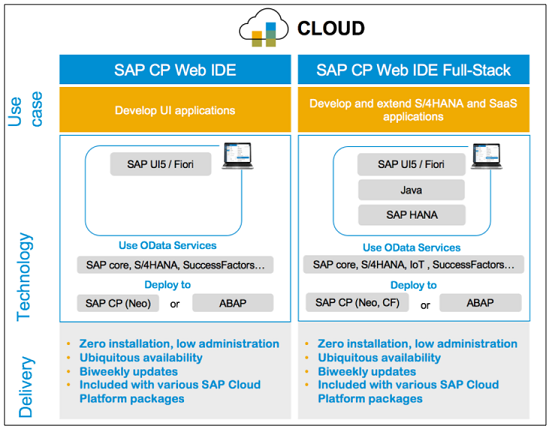 SAP S/4HANA Cloud SDK provides out-of-the-box capabilities to build side-by-side extensions for S/4HANA (on-premise or cloud edition). You can use this SDK to build JVM based applications both on Neo and Cloud Foundry environment. Infact, some of the existing S4HANA based applications like RealSpend & SAP Financial Statement Insight have been built using the same SDK. I heard there are plans to integrate this SDK within SAP WebIDE in the near future. Mobile card development kit has been introduced to enable the access of contents from variety of SAP and non-SAP business systems. This is the Content 2 Go App which is based on the wallet style of displaying cards that can be refreshed automatically, accessed offline and be used to perform small actions like approval of work items. The Content 2 Go App is only available for iOS devices. This is a quick and easy way to mobilize some of your business contents with zero or minimal coding. The source system could be either an on-premise SAP system, non-SAP system or any cloud solution like Concur, Hybris, SuccessFactors etc. Cloud Build feature is now available as part of SAP Cloud Platform Mobile services. This was previously only available as part of Fiori Mobile service. Now, SAP Cloud Platform Mobile services customers can leverage the Cloud Build feature to automatically build their applications using set of wizards and no longer require installing additional software’s on their laptops. Here is the updated development tools portfolio which address developers of all skillsets. BUILD is the prototyping tool for all Web and mobile applications. As of today, it is only tightly integrated to SAP Web IDE (development environment in SAP Cloud Platform for full stack development). When it comes to building mobile applications, there is a choice offered depending on the skillset of the developers. Professional developers can choose to use Fiori for iOS SDK to build native mobile apps. A low code Rapid development tool for building mobile apps is now available as a plugin within WebIDE. Early this year, SAP released this tool (as a metadata driven tool) to only customize standard iOS apps built using the iOS SDK. The new version released during TechEd now allows developers to create brand new native applications. You can leverage the WYSIWYG editor within WebIDE to build native applications quickly without the need to know swift programming. The Mobile Card Framework is used to create wallet-style micro apps that display information in the form of card. This is the accessed via the Content 2 Go App which I have mentioned above.This requires very minimal code and hence is classified as a Citizens developer tool. When you look at the Cross-Platform tools, you probably are aware of the SAP WebIDE. This is classified as a tool for professional developers and can be an ideal choice when building complex applications where the developers require more flexibility. What you should know is that there are two versions of SAP Web IDE. SAP WebIDE full stack development tool supports full-stack application development which can consist of several modules, such as a HANA based model, business logic (written in Java) and SAPUI5. The application can be deployed to SAP Cloud Platform, Neo and Cloud Foundry environments. Mendix is a rapid application development platform which can be used to quickly build apps without coding. I was excited to hear Björn announcing SAP’s partnership with Mendix. There is a lot of interest in the market around High-productivity application PaaS (hpaPaaS) and Mendix is one of the leaders in the hpaPaaS magic quadrant. This partnership addresses a gap in SAP Cloud Platform which will now enable customers to deploy applications in a much faster pace. What I also like about this approach is that both SAP and Mendix share the same technology vision and leverage open standards like Cloud Foundry. Hence, if a customer decides to use Mendix, they could rapidly build apps and deploy them to SAP or any other Cloud Foundry based PaaS. I have posted a video where I have shown how to quickly build a Fiori like App using Mendix. BUILD Apps is a citizen’s developer tool which is an extension of the BUILD prototyping tool. This is currently in Alpha state and I noticed there were few hands-on sessions at TechEd. For some reason, I compare this to the Visual Composer which we have in SAP Enterprise Portal. It’s perfect for Business Analyst to quickly create a light weigh app that connects to a backend source system. With BUILD Apps (I don’t think this will be the same name when it is generally available), users can quickly deploy their applications from BUILD to their SAP Cloud Platform Account. This would automatically create database artifacts like tables/OData services and provide a fully working application. There is also an option to connect to an existing OData service and configure the application to display the data from the respective OData service. The roadmap for this product looks very interesting especially with tighter integration with WebIDE, API Management and Workflow service. 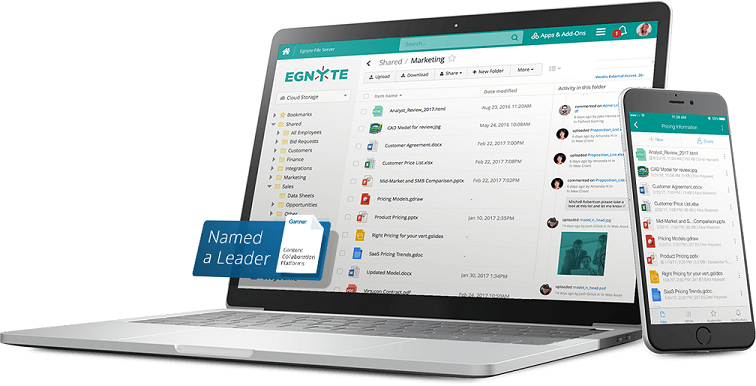 There were some interesting announcements around partnership with Egnyte & Built.io for Document Management and Web content management in SAP Cloud Platform Portal service. We already have Document Center & JAM (for Document management) and Web Content Management feature within the Portal service. However, I see this partnership as a significant step towards openness & flexibility of the Cloud Platform Portal service. Customers want more choice when it comes to content management and want to easily integrate third party solutions with their Portal sites. This is a great step towards making the Portal service more open. 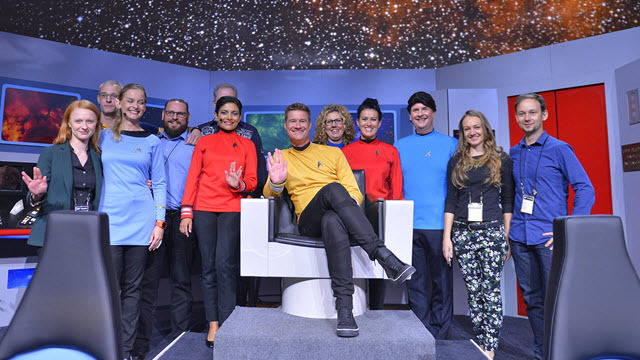 Björn acknowledged the efforts of Mentors in keeping SAP relevant within the community and here is what he said – “A key factor in our customers’ success is the SAP Mentors. We really appreciate the contributions that the Mentors make as subject matter experts, and representatives of our customers’ and partners’ point of view”. Overall it was another great event with lots of information to consume in few days. Its very exciting to see how SAP Cloud Platform is moving forward in the right direction to enable customers with their digital transformation journey. Great summary! I would love to see some links added. It makes it easier for me to get to things. And trust me I can use the help. I do use build already – so I’ve put a link with it. And now is a fun time to advertise the open courses. They have one on build. Why am I doing this? Because I want them to stay around. Thanks a lot for this collective summary of TechEd Las Vegas 2017. Hope to get such wonderful content in future too.